2.Clinic of Rehabilitation, Physical Medicine and Balneo-climatology, Clinic Hospital C.F. Iasi, Iasi,Romania. These include hyperparathyroidism, osteopenia, osteoporosis, otosclerosis, osteomalacia, rickets, and the many diseases associated with an abnormal abundance of Langerhans cells . Bone demineralization due to any metabolic bone disease can lead to a reduction in ossicular mass of any ossicle in the middle ear and cochlear bone. Paget's disease can reveal loss of mineral density of the cochlear bone . Ear bone remodeling in osteoporosis is similar to the changes in otosclerosis. Moreover, osteoporosis, osteogenesis imperfecta and otosclerosis have a similar genetic mechanism . According to some researchers osteopenia and osteoporosis may well be associated with idiopathic benign positional vertigo (BPV) . Dysfunction of the organ of hearing and balance in patients with renal insufficiency may be due to disturbances in calcium phosphate balance and renal osteodystrophy in the course of the disease. Proving the presence of hearing loss in patients with metabolic bone diseases may lead to determining the new indications for bone densitometry in some patients with hearing impairment. Furthermore, audiological examination in patients with osteopenia or osteoporosis may be important because of the impact of hearing loss on prognosis for patients with metabolic bone diseases . Some of the most interesting studies of the relationship between hearing loss and vitamin D come from Vitamin D research. Vitamin D is well known for its osteoprotective effects. The most well known problem associated with lack of vitamin D is rickets, a softening of the bones in children leading to bowed legs. But less well-known is a similar condition in adults called osteopenia where the bones can become porous and demineralized. When vitamin D deficiency causes osteopenia in the tiny bones of the ears, this can lead to hearing loss and even deafness.Strikingly, correcting the vitamin D deficiency often corrects the hearing loss and even the deafness in these specific cases  . The main metabolite of vitamin D3 in the serum is 25-hydroxyvitamin D3 [ 25(OH)D] . The Endocrine Society’s Clinical Guidelines for vitamin D (USA) concluded, based on all of the evidence, that vitamin D deficiency be defined as a 25(OH)D < 20 ng/ml, insufficiency as a 25(OH)D of 21–29 ng/ml and sufficiency as a 25(OH)D of 30–100 ng/ml . More than 30 cell types express the vitamin D receptor (VDR), and more than ten organs in addition to the kidney are capable of paracrine 1-α-hydroxylation (renal 1-α-hydroxylation of vitamin D ). More than 200 genes are under the control of calcitriol [1, 25-(OH)2-vitamin D] . Deficiency of vitamin D3 is followed from several dysfunction and abnormalities due to dysregulation of several genes. Vitamin D has indeed been shown to exert pluripotent non-classical effects acting as an immunomodulator . Many nonclassical actions of vitamin D are independent of conventional vitamin D endocrinology and are therefore more sensitive to variations in vitamin D status. .
Vitamin D3 deficiency may result directly in auditory dysfunction, or exert a secondary effect by disturbances of calcium metabolism . Calcium ions play important role in membrane permeability. Active transport mechanisms that include ATPase activit y, which maintain the differential biochemical integrity of the inner ear fluids vital for normal cochlear function may, be calcium dependent. Additionally, ionised calcium is necessary for normal nerve function and deficiency may adversely affect transmission of the nerve action potentials generated by the cochlea. Retrocochlear deafness in hereditary vitamin-D-resistant rickets, due to secondary hyperparathyroidism causing osteosclerotic narrowing of the internal auditory canals , has been described . Basilar impression or basilar invaginationis is a term generally used to designate different types of deformities involving the posterior cranial fossa and the upper cervical vertebræ. One of the most common causes of this deformity is an abnormal structure of the skeleton; for example, the decalcification of bones in rickets or Paget's osteitis deformans . Another type of “basilar impression” is seen in cases of long standing, increased intracranial pressure causing atrophy of the cranial capsule (hydrocephaly, oxycephaly). The third type corresponds to a congenital malformation of the atlanto-occipital region (“assimilation of the atlas”). The acquired type is rare but may occur secondary to osteomalacia  . It isemphasized the importance of basilar impression in the differential diagnosis of Meniere's disease . Brookes GB. (1985) diagnosed in 27 patients with bilateral hearing loss, in a period of just over 3 years, a vitamin D deficiency. Vitamin D deficiency should be considered in the differential diagnosis of unexplained bilateral cochlear deafness and may be important in the origin of some cases of otosclerosis, presbyacusis, and the hearing loss associated with chronic renal failure . Treatment should prevent progressive hearing loss, which may occasionally be partly reversible, and the development of clinical osteomalacia with more generalized skeletal symptoms . Ikeda K, et al (1989) investigated the possible role of vitamin D in hearing impairment by the measurement of three metabolites of vitamin D in 28 patients with bilateral sensorineural hearing loss (BSNHL). Twenty-three of 28 patients showed a significantly decreased level of 1,25-dihydroxyvitamin D3, with a normal value of 25-hydroxyvitamin D3. In addition to experimental and clinical reports regarding vitamin D deficiency, in this study it is suggested that vitamin D deficiency is one of the etiologies of BSNHL, through the calcium metabolism and microcirculation in the cochlea . Brookes GB. (1983) Reported ten patients with bilateral cochlear hearing loss which was associated with vitamin D deficiency. The most likely pathogenesis of these cases was the localized demineralization of the cochlea resulting in secondary morphological changes. Replacement therapy resulted in unilateral hearing improvement in two of the four patients in whom the response to treatment could be assessed. This suggests a previously unrecognized causal correlation between vitamin D deficiency and cochlear hearing loss. Impaired vitamin D activity may be important in the aetiology of otosclerosis , presbyacusis and the deafness associated with chronic renal failure. Vitamin D deficiency should be considered in the differential diagnosis of unexplained bilateral cochlear deafness. It is important, as this 'new' metabolic type of sensorineural deafness may be reversible, and may also lead to the diagnosis of early osteomalacia before more serious generalized skeletal symptoms can occur [16, 17]. Otosclerosis is a bone remodeling disorder of the human otic capsule of unclear etiopathogenesis. Genetic predisposition, disturbed bone metabolism, persistent measles virus infection, autoimmunity, hormonal and environmental factors also may play contributing roles in the pathogenesis of otosclerosis. Otosclerosis may be localised on stapes or may be expanded to osseous cochlea of the inner ear. Surgical therapy of otosclerosis is not always successful or feasible . Brookes GB. (1985), in a prospective study of 47 patients with otosclerosis, investigated the possible etiologic role of vitamin D undernutrition. The population comprised 27 women and 20 men, with a mean age of 46.4 years (range 21 to 79). The disease was bilateral in 43 patients, and cochlear involvement was present in 84.4%. The mean duration of symptoms was 17.1 years. Vitamin D status was evaluated by measuring the plasma 25-hydroxy vitamin D3 (25-OHD), which is the main storage metabolite. Abnormally low 25-OHD levels were found in 10 patients (21.7%) and borderline low levels in another two. Raised serum alkaline phosphatase levels were present in 32.6%, calcium in 6.5%, and inorganic phosphate in 4.3%. Calcium and vitamin D replacement therapy resulted in significant hearing improvement in 3 of 16 patients; these data support a causal correlation. Vitamin D deficiency is probably a factor in the etiology of some cases of otosclerosis and is important, since the deafness resulting from cochlear involvement may be reversible . Optimal vitamin D intake and its status (optimal levels of 25-hydrojyvitamin D3 >30ng/ml) are important not only for bone and calcium-phosphate metabolism, but for overall health and well-being  . Vitamin D deficiency is now recognized as a global pandemic. The major cause for vitamin D deficiency is the lack of appreciation that sun exposure has been and continues to be the major source of vitamin D3 for children and adults of all ages. Vitamin D plays a crucial role in the development and maintenance of a healthy skeleton throughout life  . Vitamin D deficiency and insufficiency as a global health problem is likely to be a risk for wide spectrum of acute and chronic illnesses including hearing loss. Adequate vitamin D status seems to be protective against musculoskeletal disorders (muscle weakness, falls, fractures), infectious diseases, autoimmune diseases, cardiovascular disease, type 1 and type 2 diabetes mellitus, several types of cancer, neurocognitive dysfunction and mental illness, and other diseases, as well as infertility and adverse pregnancy and birth outcomes. Vitamin D deficiency/insufficiency is associated with all-cause mortality . Adequate vitamin D supplementation and sensible sunlight exposure to reach optimal vitamin D status are among the front line factors of prophylaxis for spectrum of disorders. Supplementation guidance and population strategies for eradication of vitamin D deficiency must be included in the priorities of physicians, medical professionals and healthcare policy-makers. After all, the measurement of 25-hydroxyvitamin D3 levels in any patient with any metabolic bone disease (osteopenia, osteoporosis, etc), otosclerosis, presbycousis sensineural hearing loss is mandatory. In case of vitamin D3 deficiency, not all vitamin D3 preparations are absorbed by the intestine and demonstrate inadequate bioavailability. 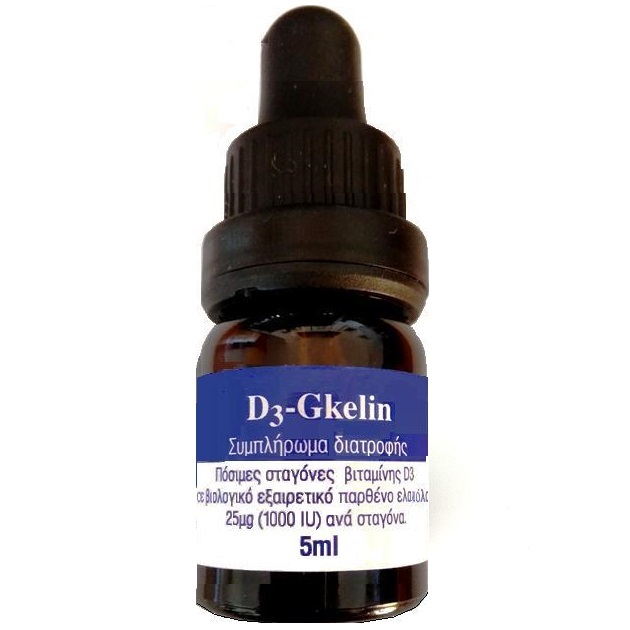 The administration by mouth, once a day, after meal, of vitamin D3 in olive oil [D3-Gkelin drops] in adult dose 4000IU or 4 drops daily for two months is suffiicient for the creation optimal levels of 25-hydroxyvitamin D3. The levels of 25-hydroxyvitamin D3 must be evaluated at least at the end of winter and the begining of autumn. In patients with non operable otosclerosis or early otosclerosis the administration of Sodium fluoride+ Calcium carbonate [Florical] and D3-Gkelin drops for three years are able to reverse or to stabilize the hearing loss in many cases. 1. Zatoński T, Temporale H, Krecicki T. Hearing and balance in metabolic bone diseases. Pol Merkur Lekarski. 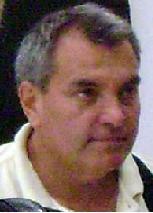 2012 Mar;32(189):198-201. 2. Dimitriadis PA, Bamiou DE, Bibas AG. Hearing loss in Paget's disease: a temporal bone histopathology study. Otol Neurotol. 2012 Feb;33(2):142-6. doi: 10.1097/MAO.0b013e318241c3bd. 3. Jeong SH, Choi SH, Kim JY, Koo JW, Kim HJ, Kim JS. Osteopenia and osteoporosis in idiopathic benign positional vertigo. Neurology. 2009 Mar 24;72(12):1069-76. 4. Brookes EB, Morrison AW. Vitamin D deficiency and deafness . Br Med J (Clin Res Ed). 1981 Jul 25;283(6286):273-4. 5. Holick MF. Evidence-based D-bate on health benefits of vitamin D revisited. Dermatoendocrinol. 2012 Apr 1;4(2):183-90. doi: 10.4161/derm.20015. 6. Biggar PH, Liangos O, Fey H, Brandenburg VM, Ketteler M. Vitamin D, chronic kidney disease and survival: a pluripotent hormone or just another bone drug? Pediatr Nephrol. 2011 Jan;26(1):7-18. doi: 10.1007/s00467-010-1526-x. Epub 2010 Apr 27. 7. Bacchetta J, Salusky IB, Hewison M. Beyond mineral metabolism, is there an interplay between FGF23 and vitamin D in innate immunity? Pediatr Nephrol. 2013 Apr;28(4):577-82. doi: 10.1007/s00467-012-2336-0. Epub 2012 Nov 2. 8. Hewison M. An update on vitamin D and human immunity. Clin Endocrinol (Oxf). 2012 Mar;76(3):315-25. doi: 10.1111/j.1365-2265.2011.04261.x. 9. Brookes EB, Morrison AW. Vitamin D deficiency and deafness. Br Med J (Clin Res Ed). 1981 Jul 25;283(6286):273-4. 10. Weir N. Sensorineural deafness associated with recessive hypophosphataemic rickets. J Laryngol Otol. 1977 Aug;91(8):717-22. 11. Chakrabarti AK, Johnson SC, Samantray SK, Reddy ER. Osteomalacia, myopathy and basilar impression. J Neurol Sci. 1974 Oct;23(2):227-35. 12. Elies W, Plester D. Basilar impression. A differential diagnosis of Menier'es disease. Arch Otolaryngol. 1980 Apr;106(4):232-3. 13. Brookes GB. Vitamin D deficiency and deafness: 1984 update. Am J Otol. 1985 Jan;6(1):102-7. 14. Ikeda K, Kobayashi T, Itoh Z, Kusakari J, Takasaka T. Evaluation of vitamin D metabolism in patients with bilateral sensorineural hearing loss. Am J Otol. 1989 Jan;10(1):11-3. 15. Szekanecz Z, Szekanecz E, Morvai K, Rácz T, Szegedi G, Sziklai I. Current aspects of the pathogenesis and clinical characteristics of otosclerosis: possibilities of drug therapy Orv Hetil. 1999 Oct 31;140(44):2435-40. 16. Brookes GB. Vitamin D deficiency--a new cause of cochlear deafness. J Laryngol Otol. 1983 May;97(5):405-20. 17.Brookes GB. Vitamin D deficiency and deafness: 1984 update. . Am J Otol. 1985 Jan;6(1):102-7. 18. Brookes GB. Vitamin D deficiency and otosclerosis. Otolaryngol Head Neck Surg. 1985 Jun;93(3):313-21. 20.Wacker M, Holick MF. Vitamin D - effects on skeletal and extraskeletal health and the need for supplementation. Nutrients. 2013 Jan 10;5(1):111-48. doi: 10.3390/nu5010111. 21. Hossein-nezhad A, Holick MF. Optimize dietary intake of vitamin D: an epigenetic perspective. Curr Opin Clin Nutr Metab Care. 2012 Nov;15(6):567-79. doi: 10.1097/MCO.0b013e3283594978.